The Lion King is one of my fave Disney films of all time. I remember when it came out in 1994, yes, it is 22 years old and yes, I feel old now. I am not allowed to watch it with my kids however, not because they don't like it but because I know all the words and get told off for speaking over the characters. However, they love it and I couldn't be prouder that they now know loads of the words too. Whilst typing this, I am listening to 'I just can't wait to be king' because I needed a pick me up song for this Monday morning. I know, I'm 30 but Disney is timeless. 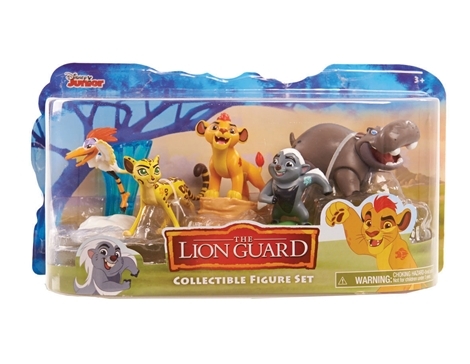 This new spin off of the Lion King, The Lion Guard, has been on in our house this week, which has made a difference from the crap that is normally on. Rocky loves animals so when the brand new toy bundle arrived he instantly jumped up and ripped them open, hence why there are no pics of the packaging and him. Imagination play is the name of the game for 3/4 year olds. This cute little collection really helps them get involved and reenact the show when it's not on. Rocky has so far turned Kion into the baddy in a transformers game and he's also eaten one of the Ninja Turtles. 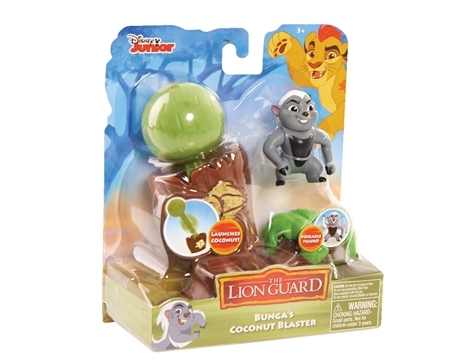 The toys are well made and durable, they are also affordable, unlike some other Disney toys. The blind bags were a huge hit too as there was that little bit more excitement not knowing which one he'd get and the best part is they're pocket money priced. Blind Bags are also a big Youtube craze at the moment so he felt like he was being one of those stars. Available in shops in July 2016.